Would you rather get a quote for a complete Hawaii golf vacation? Click here if interested. Please fill in the fields below and submit. If you provide us with complete information, we will supply a price quote very quickly and via e-mail. 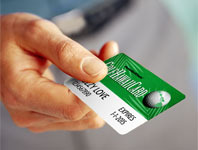 Have you already subscribed to our exclusive HGD GolfHawaiiCard? With your Alamo vehicle order, you will receive a complimentary copy of the money-saving Insider’s Guide to Maui Golf. 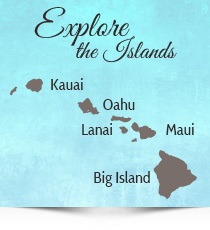 With your Alamo vehicle order, you will receive a complimentary copy of the money-saving Insider’s Guide to Kauai Golf. Please give us details about your upcoming Hawaii visit. Please note: HawaiiGolfDeals only recommends fullsize cars (1-3 persons) and minivans (4-6 persons) for our avid golf travelers, who generally travel with golf clubs and luggage. As such, our special contract with Alamo delivers fullsize and minivans at industry-leading prices. Specialty vehicles are always more expensive. Convertibles do not have sufficient luggage space. The more information you can provide about your party, plans, intentions, desires and so forth, the more efficient we can be in response. Please clue us in!